Separately, Merriam-Webster defines dox as “to publicly identify or publish private information about (someone) especially as a form of punishment or revenge.” Even if calling adversaries terrorists has somehow been normalized, calling for them to be doxxed still hasn’t, right? Attorneys general from 18 states, including Maryland’s Brian Frosh, have signed a letter arguing against a presumption of innocence for students accused under Title IX, saying it “improperly tilts the process” in favor of the accused. There’s a good argument that the feds should not be dictating colleges’ disciplinary standards at all, but that’s not what’s at issue here; the signers favor strong federal intervention, but on behalf of standards more favorable to accusers. Conor Friedersdorf has more at The Atlantic. In response to ongoing concern that the measure infringes the First Amendment, chief bill sponsor and Judiciary Committee Chair Sen. Bobby Zirkin (D-Baltimore County) said, “… If we’ve overstepped our bounds in any part of this, then we’ll find out when the Court of Appeals says so.” Put differently, we’re passing a bill parts of which may be unconstitutional, but we’re going to leave that to the courts to spot and fix. One problem with this “it’s not our department” view is that it’s not just the judges on the Court of Appeals who take an oath to support the Constitution, it’s also the members of the Maryland General Assembly (related, federal). I was critical of the original “Grace’s Law” at the time; see also here. 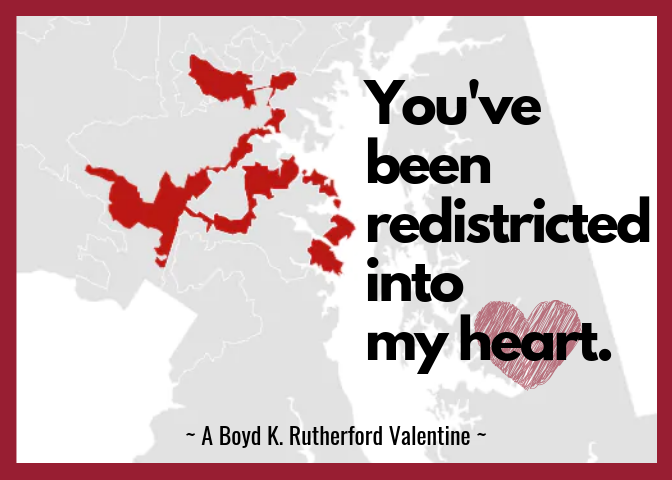 Now live: help fix Maryland’s gerrymandered Sixth District! This site (press release, guidelines) will let you propose and submit a map to Gov. 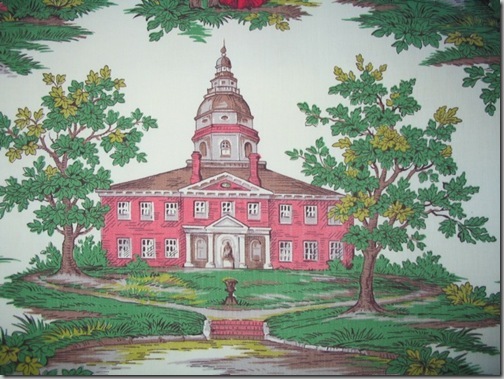 Larry Hogan’s emergency commission using the inline Maptitude software. Aside from enabling the construction of maps using census blocks and other units, the software will ensure that the map you submit complies with legal requirements for equal numbers of persons per district and contiguous territory. The site also accepts maps via data files or hardcopy as well as public comments of all sorts to advise the commission in its work. Note that public comment and map submission is open for two weeks, until Feb. 27. If possible, try to submit earlier rather than later.